Ven Tauringana, Professor of Accounting and Head of the Department of Accounting at Southampton Business School, is taking the lead in encouraging more research into African accountancy and financial topics. 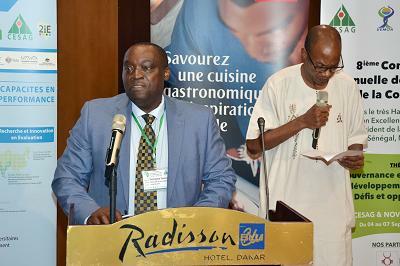 As President of the African Accounting and Finance Association, Ven formally opened its first annual conference in Senegal - which is home to the regional Central Bank and international institutions such as the World Bank. "We bring together researchers into accountancy with professional accountants to discuss important contemporary issues," he explains. "The Association was formed in 2011 and up to now, we have met in English-speaking countries including South Africa, Ghana, Nigeria and Kenya. This is an important step to broaden our activities across Africa. Next year, our conference will be held in Dar es Salaam, Tanzania." Senegal's Budget Minister Birim Mangara welcomed more than 200 delegates to the four day event, on behalf of its President Marcly Sall, and encouraged them to support and contribute not only to the United Nations' sustainable development goals but also to the African Union's Agenda 2063. This aims to create a prosperous, peaceful and united continent with opportunities for all. 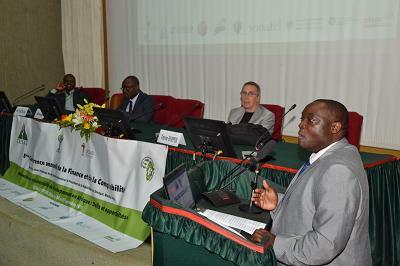 The Africa School of Management in Dakar hosted the conference. Its Dean Professor Serge Auguste Bayala caleld for academics and students from all African countries to break through the language barrier and work together on research. He noted that over the last nine years, only 1.36 percent of scholarly articles published in academic journals were based on analysis of African data. The conference also included a Doctoral Colloquium for early-career researchers.